What are the Health Benefits of Going Keto? Have you heard people talking about the ketogenic diet and you want to know more? Learn about the health benefits of going keto. You can imagine that there are plenty of health benefits of going keto. People that follow a keto diet consume typical quantities of protein, greater quantities of fat, and these people consume very low amounts of carbohydrates. The diet itself is designed to elicit a desired response from peoples’ bodies. Since carb consumption is so low, blood sugar (glucose) levels remain low too. So the brain has to pull from an alternative source of energy – fat. Before the body can use fat for energy, the liver needs to convert it to ketones first. It’s these ketones that the body and brain use as an energy source when the body is low on glucose. Did you know that the ketogenic diet has its origins as a method to help treat neurological diseases, including epilepsy. There have been studies to show the keto diet can offer a range of benefits for different health concerns. Before we discuss the health conditions that can be addressed, let’s first talk about some of the added “side effects” of going on a ketogenic diet. Thanks to lower levels of insulin and the ability of the body to burn fat that has been stored, people that stick to the diet after going keto discover they tend to lose weight more rapidly compared to traditional diets. Did you know that an unhealthy, unbalanced diet can be a cause of brain fog and reduced mental clarity? Many people have difficulty remembering facts or struggle to stay focused on the task at hand. Since the brain is using fat as energy when on the keto diet, it can help you to stay more focused. A fun fact is that ketones are a more efficient energy source when compared to glucose, the typical energy source. Energy is everything when it comes to the brain. The energy that comes from ketones helps to protect the brain and the rest of the body better. It can help reduce the effects of oxidative stress that can negatively affect brain aging and mental performance. When you combine enhanced mental performance with improved clarity of thought and memory, you get productivity improvements. Diet effects acne, so when you lower insulin levels and eat less sugar and processed junk foods, you can reduce the incidence of acne. Skin will appear more hydrated, too, since a natural increase in water consumption will occur due to the huge reduction in carb intake. In addition to these minor health concerns, going keto can be beneficial people people with some health conditions. As always, talk to your doctor before beginning a new health regimen, especially when you have a disease or serious illness. The weight loss mentioned above can be great for those with heart disease. Additionally, HDL levels, blood pressure levels and blood sugar levels can all be improved on a keto diet. Studies like the ones that were done by the Department of Radiation Oncology at the Holden Comprehensive Cancer Center at the University of Iowa, and the National Institutes of Health’s National Institute of Neurological Disorders and Stroke, show good results with people on the ketogenic diet. These studies show it as an effective treatment for several cancer types as well as slow tumor growth. Keto diets are also in use to help address the symptoms of Alzheimer’s disease. Patients that have been followed on the ketogenic diet are showing a lessening of symptoms along with improved cognitive function. If you know anyone suffering from epilepsy, the Epilepsy Foundation has endorsed the ketogenic diet since it has been shown to help manage seizures for some people that have epilepsy. Doctors will typically recommend the keto diet for kids that have seizures that haven’t responded after trying many seizure medication options. 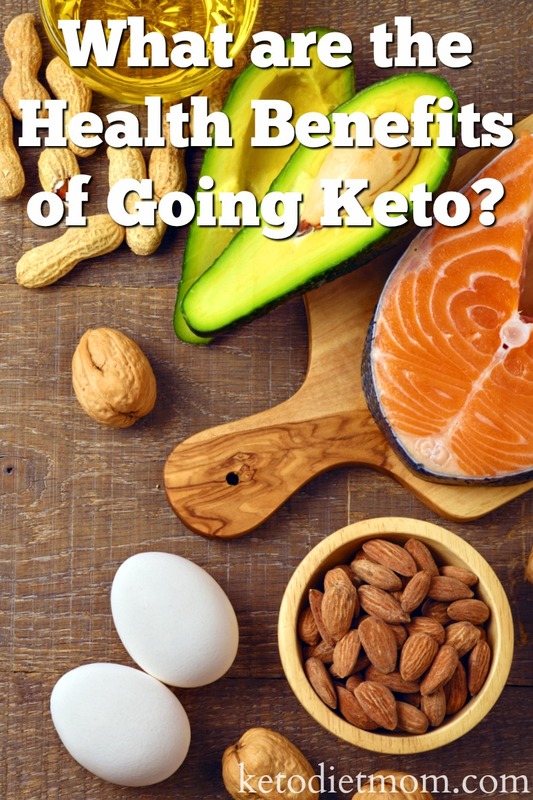 While there is yet no conclusive research showing that the benefits of going keto will absolutely reduce the symptoms or treat major health issues, there is enough evidence that it will not cause harm. The side benefits of reduced brain fog and improved weight loss are shown to benefit otherwise healthy adults, so it’s worth a try.